Online registration is now closed. Registration will be available during packet pick up. 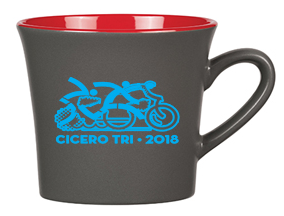 Registration will also be available on race morning. Remember to bring your photo ID and USAT membership when registering or picking up your packet. You MUST pick up YOUR OWN packet. NO EXCEPTIONS. It’s back, better than ever! 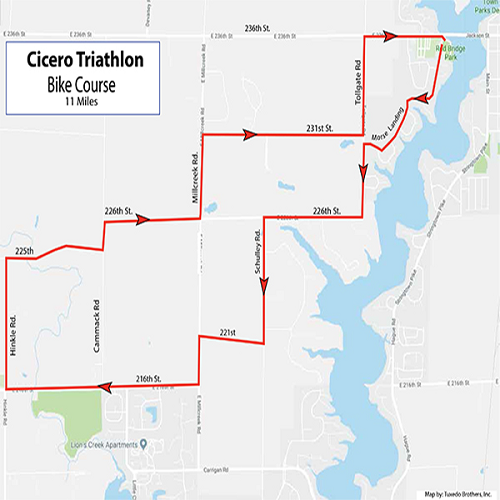 The Cicero Triathlon will be staged out of Red Bridge Park in Cicero, IN. The event is open to everyone ages 14 and above. This popular short distance triathlon is great for the beginner with a short/straight 400 yards swim across the Morse Reservoir. The gently rolling Bike course will loop you through part of Hamilton Country before heading back to the park. The 3 mile run course is an out-and-back format. Stick around afterwards for post-race refreshments and the awards ceremony. The event is located at Red Bridge Park in Cicero, IN. 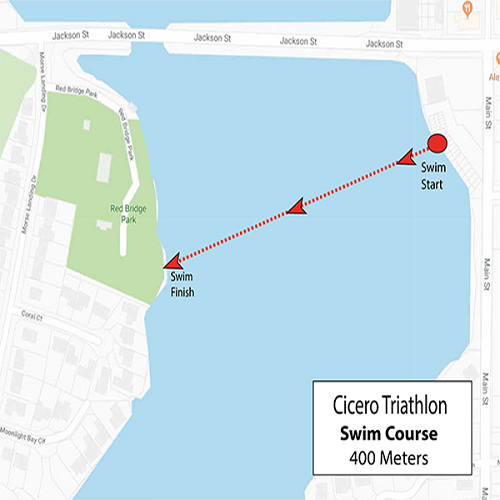 Participants and spectators will be allowed to park in the parking lot where the swim start will take place. The address is 409 W Jackson St, Cicero. 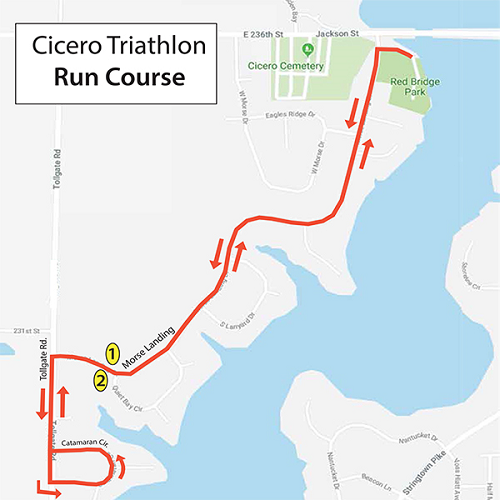 Any overflow parking will be allowed to use the parking lot at the Cicero Wesleyan Church (one block from the swim start). 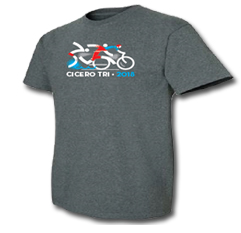 All participants will receive a high-quality shirt to commemorate the event! ---Participants will have the option to register at Packet Pick Up on Friday OR Saturday. Prices increase on Saturday, so be sure to pre-register! If you compete in the Fat Tire or Clydesdale/Athena you will not be eligible for age-group awards. There are 3 divisions for Relay Teams (2 or 3 per team): All Male, All Female, and Co-ed. Relay teams compete in a relay format - one person swims, then one person bikes then one person runs. The top 3 in each division will receive awards - get a team and have some fun! 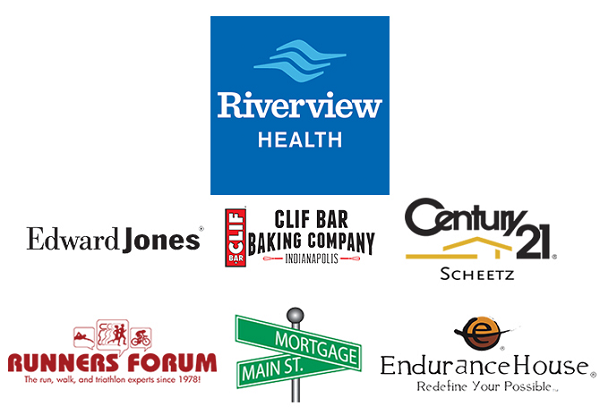 These events are sanctioned by the USA Triathlon. All USAT rules will be enforced. Please visit www.teamusa.org/usa-triathlon for information on rules and regulations as well as information for those interested in obtaining a USA Triathlon License. The event is limited to ages 14 and above. When this page loaded, the official time was 7:19:05 PM EDT.